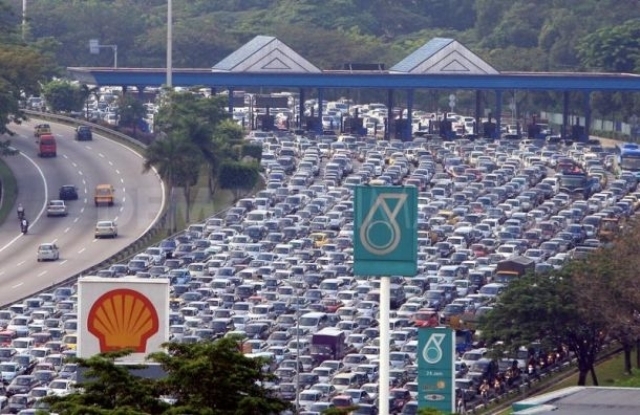 Everyone knows that driving in Malaysia can be a drag. In fact, it is a constant maneuver of sorts for Malaysian drivers. In any sense, Malaysians are known to be one of the friendliest people in the world, that is, until they start driving. Below are some of the rules (at least the lighter side) of Malaysian traffic laws. In Malaysia, regardless of where and what you drive, Malaysian drivers must arrive at their destination before you. This takes place before, during and after they start the car. Most Malaysians do the exact opposite of what they are supposed to. This means that they will overtake in double white lines, park at yellow lines and speed through the red lights. As a rule of thumb, all Malaysians are always facing some sort of emergency. That is why you always see them driving on the emergency lane. In Malaysia, the orange light does not means slow down, in fact, it means speed up. In most cases, if you are trying to make a turn and switched on the signal (or indicator) lights, it is simply indication for the car behind or beside you to speed up and stop you from overtaking. If you want to overtake, putting the signal lights on is useless. Everyone loves convenience. On Malaysian roads, even the traffic polices are friendly enough to offer you convenience. If you are caught violating traffic rules (like talking on the mobile or illegal overtaking), they will help you out. They ensure you need not have to go through the hassle of filling up forms, going to the traffic police station and paying the summons. You can pay the summons on-the-spot to them. And they usually come with discounts too! • Drivers who are reporters. They stop or slow down whenever there is an accident. Even if the accident is across the road. This usually causes massive traffic jams. • Drivers who have the hobby of blocking others. They double park, obstructing others and go on with their daily chores.